Nomad is the smallest of our tandoors. 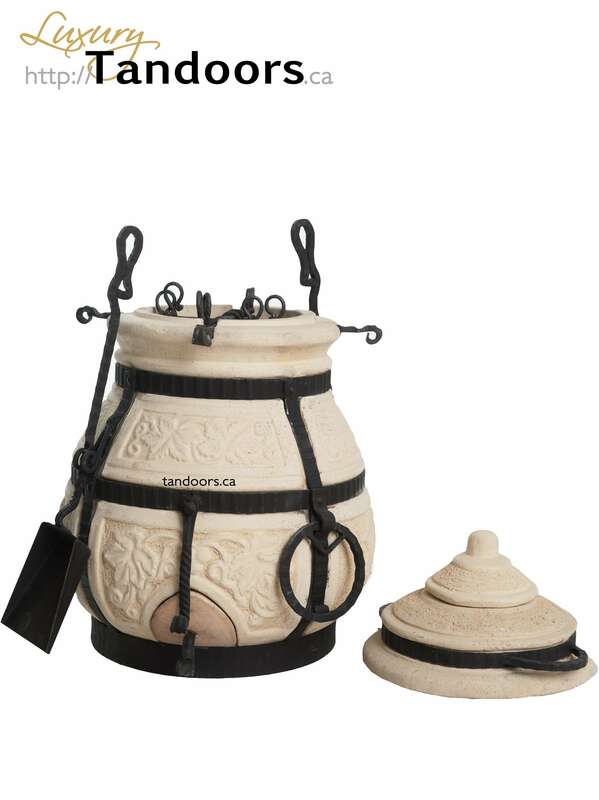 Its compact body is decorated with a leaf design that is reminiscent of Italian vineyards and the metalwork has built in functionality to hold your tandoor accessories. 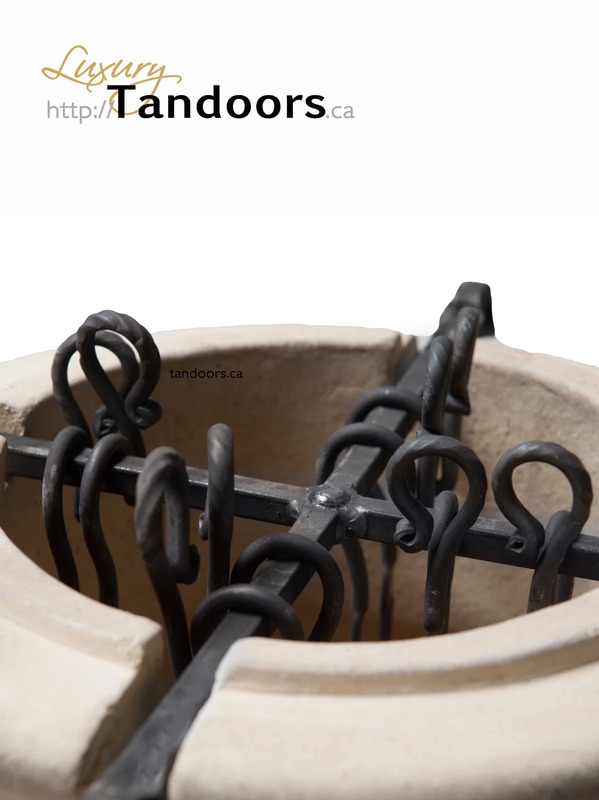 This tandoor is perfect for a small backyard or patio and allows you to create unique tandoori flavours in the smallest of spaces. We know not everyone has space for our larger tandoors, which is why the Nomad is such a popular oven. 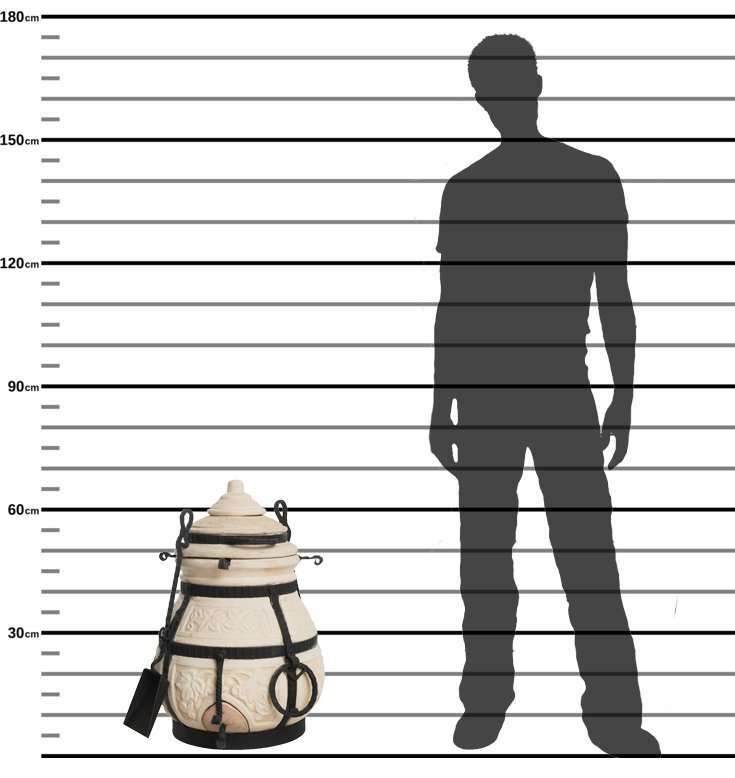 The Nomad is just a little over 2 feet tall, the belly has a diameter of 18 inches, and the mouth has a diameter of just under 9 inches. You can’t find more features, quality, and beauty in a tandoor oven of this size. This tandoor has an accessory package that includes an ash grate, ash scraper, ash shovel, skewer hanger, & 8 skewers. An optional Tandoor Base is also available. The Dastarkhan is one of our three largest tandoor models. It separates itself from the others by having the smallest footprint of the trio. This tandoor has the thickest walls of them all. This makes the Dastarkhan one of the best models at retaining heat for those long cooking sessions. 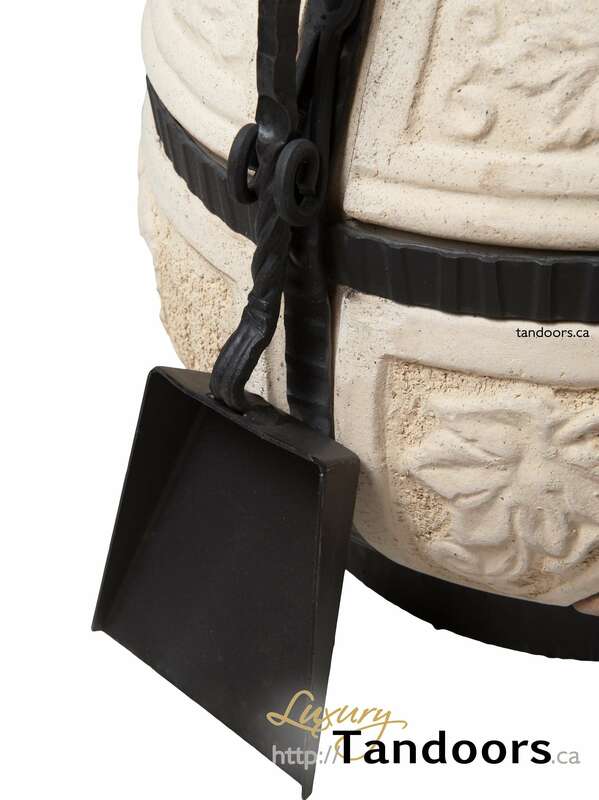 This tandoor has an accessory package which includes an accessory/lid stand, ash grate, ash scraper, ash shovel, skewer hanger, and 12 skewers. Our fireplace offers the opportunity to add style and flair to your backyard without the tandoor oven. 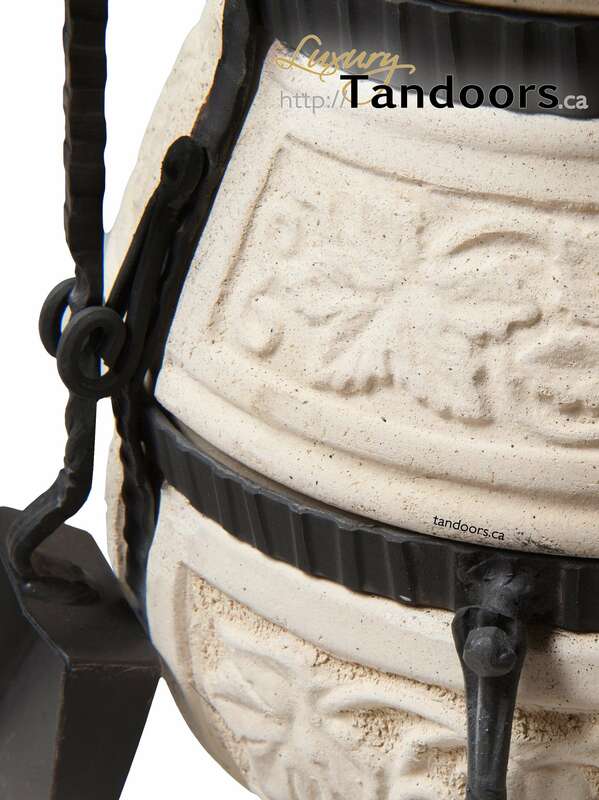 It is made with the same high quality clay and metal components as all of our tandoor products and is the perfect luxury addition to accent any backyard. You will also find this unique piece is a conversation starter that everyone will want to gather around. It comes with an accessory package which includes an ash scraper, ash shovel, and accessory stand. This sale is for Canadian customers only. Free pickup from our Delta warehouse. Shipping charges shall apply otherwise. Tandoor Khan is in the medium size range of our tandoors. 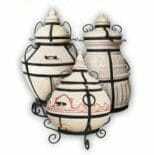 It features a classic pottery vase shape, clean lines, and finely detailed metalwork. This tandoor has the same high quality craftsmanship as our larger tandoors, but at a more affordable price point. It accommodates 8 or more skewers for you to make large, delicious meals for friends and family. Don’t know what to buy for your loved one or a friend? No need to go shopping for them – simply select gift card amount on our website and we’ll email coupon codes to you. These coupon codes can be redeemed in our shopping cart before the checkout. The Chief boasts built in hangers for your tandoor oven tools, accents on the body inspired by classic Greek pottery, and a size that doesn’t take overpower backyard. One of our smaller models, it is perfect for those who want all of the functionality and the unique look of a tandoor oven, but can’t commit the same kind of space that our largest models would require. 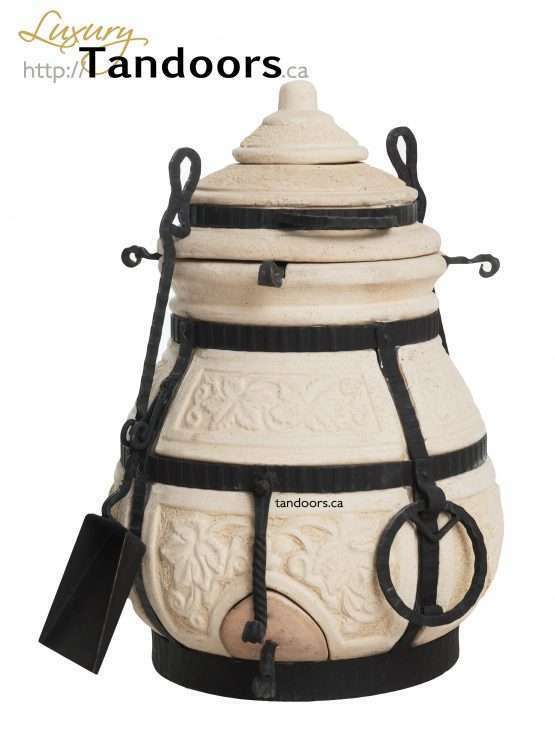 The medium sized tandoor Saka features ornaments, clean lines, and detailing on the metalwork. The craftsmanship of this tandoor rivals the quality of our largest and most expensive models. It can accommodate more than 12 skewers for you to make delicious meals for friends and family. The big brother of the smaller Khan, the Ataman has the capability to feed a small army of hungry guests. The word Ataman refers to a military commander of a Russian army, and this is represented by its strong shape and armour like metalwork and accents on the clay body. 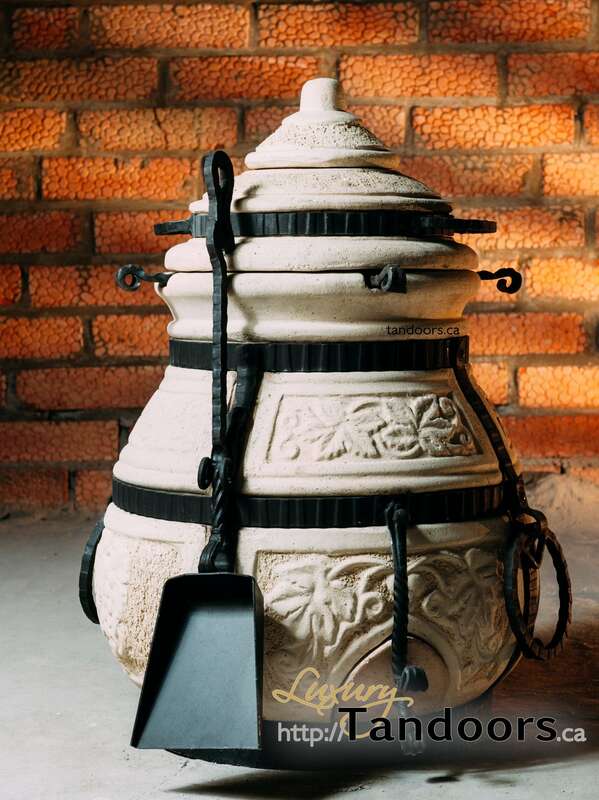 This tandoor pairs beauty with functionality and is sure to impress your guests.